The Russell Kirk Center for Cultural Renewal aims to recover, conserve, and enliven those enduring norms and principles that Russell Kirk called the Permanent Things. There are certain permanent things in society: the health of the family, inherited political institutions that insure a measure of order and justice and freedom, a life of diversity and independence, a life marked by widespread possession of private property. These permanent things guarantee against arbitrary interference by the state. These are all aspects of conservative thought, which have developed gradually as the debate since the French Revolution has gone on. It is the work of the Kirk Center to strengthen the Permanent Things, especially as they relate to America’s tradition of order, justice, and freedom. Based at Russell Kirk’s ancestral home of Mecosta, Michigan, we host seminars, research, and fellowship opportunities in what is now a unique residential library and conference center. 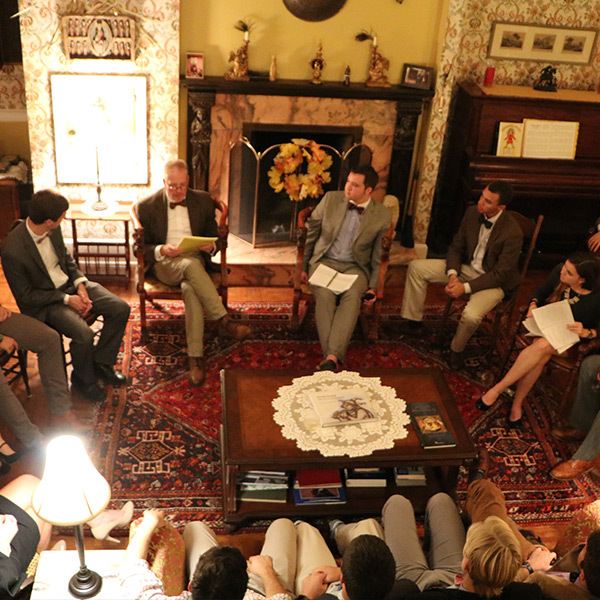 These activities, rooted in one of American conservatism’s historic places, constitute a lively educational community at the core of the Center’s mission. 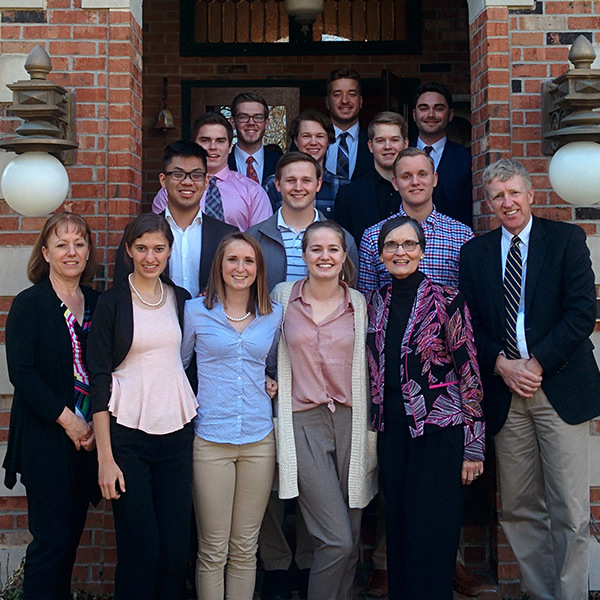 From here, our Kirk on Campus initiative supports programs that bring Kirk’s ideas and the tradition he represents to the rising generation at our colleges and universities. Through The University Bookman and other resources online we engage a wide variety of people in our mission of renewing the culture. Civilization can only thrive, Edmund Burke once wrote, as a partnership of “those living, those who are dead, and those who are yet to be born.” The Kirk Center brings this truth to life. Since its founding in 1995, the Kirk Center has enjoyed a national and international reputation for linking together generations past and present in an educational journey to discover and nourish the roots of America’s political, economic, and religious order. 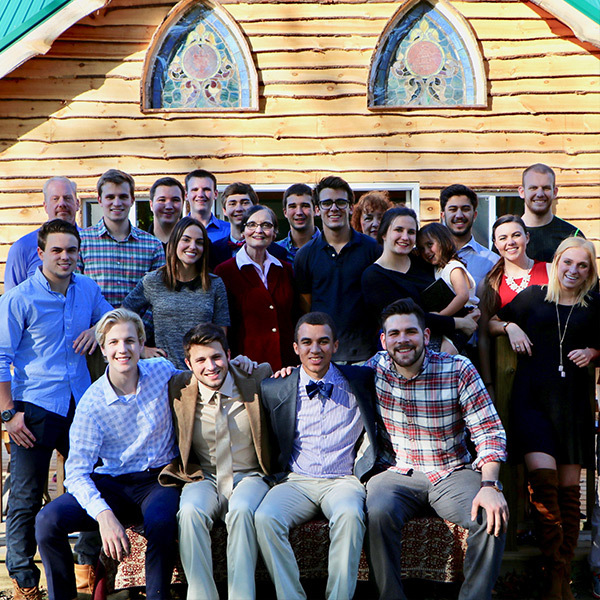 Through both its residential and on-campus programs the Kirk Center explores the means by which our patrimony of culture may be preserved and renewed. Civilizational memory and community together can foster the kind of continuity in beliefs, practices, and institutions necessary if a culture is to foster authentic human flourishing. In these ways the Center continues Russell Kirk’s own efforts to enrich our understanding of the Permanent Things that maintain and nurture America’s civil social order. 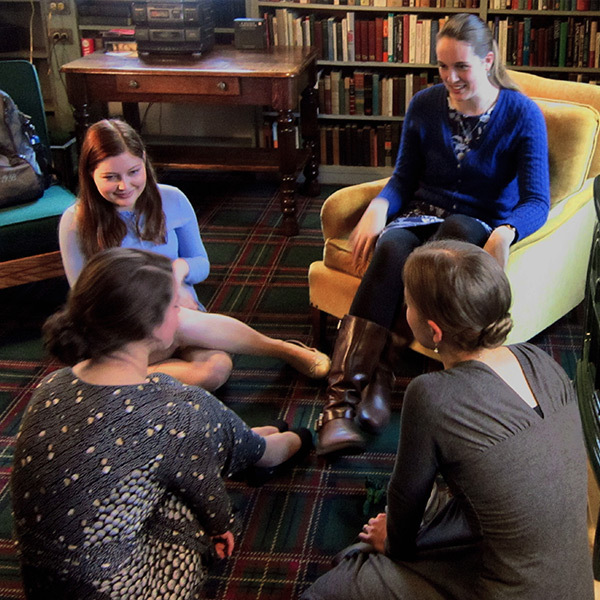 We hope you will join the wide network of friends that make the Russell Kirk Center an interesting and vibrant community, and visit us often. 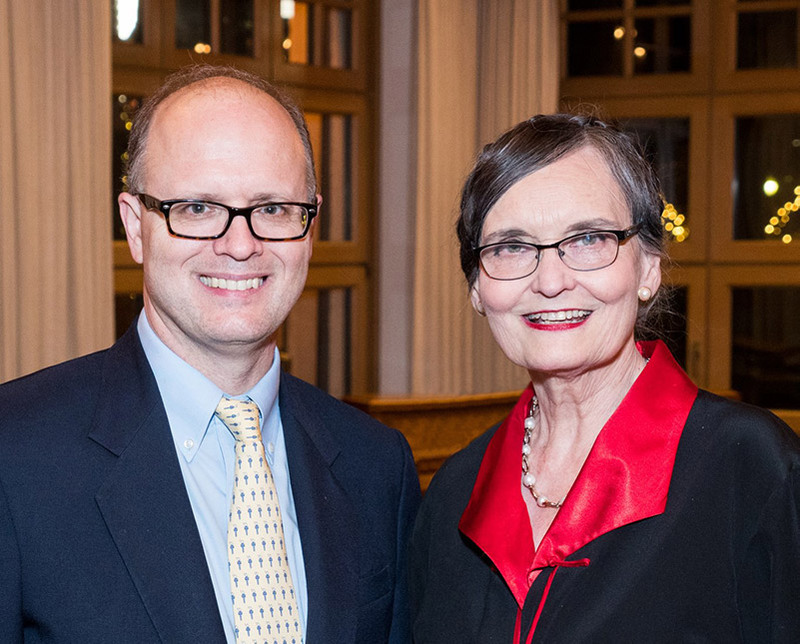 Annette Kirk is co-founder (with Jeffrey O. Nelson) and president of the Russell Kirk Center for Cultural Renewal. A native New Yorker, Mrs. Kirk moved to the village of Mecosta, Michigan in 1964 when she married Russell Kirk. While raising their four daughters and acting as lecture agent for her husband, she founded the Mecosta County Council for the Arts, and served for ten years as Chairman of the Mecosta County Board of Social Services. Mrs. Kirk was a board member of the Midland Charter Initiative and the Education Freedom Fund, which awarded scholarships to low-income students in Michigan Schools. 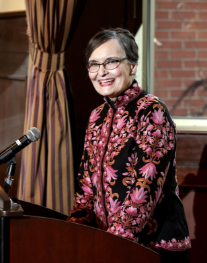 She served as an advisor to the Heritage Foundation’s Russell Kirk Memorial Lecture Series and was a member of the board of the Laura Bush Foundation for America’s Libraries. She currently serves as an advisor to the Mackinac Center for Public Policy. Annette Kirk received her Bachelor of Arts degree and an honorary doctor of letters from Molloy College. She taught English and Drama in a New York public high school and did graduate work in theater at Queens College, in literature at St. John’s University, and in education at Columbia University. President Ronald Reagan appointed Annette Kirk to the National Commission on Excellence in Education, which in 1983 published the landmark report, A Nation at Risk, elevating educational issues to national prominence. Since then, she has encouraged our educational and political leaders to consider to what purpose we are educating our youth, and whether true education can exist without a moral dimension. During her thirty-year marriage to Russell Kirk, they gave joint lectures, campaigned for political candidates, and hosted thousands of students at seminars held in the library where Russell Kirk wrote almost all of his thirty-two books. Mecosta, Michigan, the family home of Russell Kirk. The Center complex includes Dr. Kirk’s library and several residential houses. To strengthen the foundations—cultural, economic, and religious—of Western civilization and the American experience within it. Kirk Center programs and publications celebrate and defend the “permanent things”—all that makes human life worth living, particularly the bedrock principles that have traditionally supported and maintained the health of society’s central institutions: family, church, and school. Students and scholars, leaders in business and the professions, policy makers, and the general public. We identify, educate, and mentor thoughtful men and women, and develop and promote the writing of both established and emerging thinkers. We work with people and groups worldwide that are committed to revitalizing our common cultural inheritance. An unrivaled program of seminars and unique facilities for the support of undergraduate, graduate, and senior residential fellowships. In addition to supporting the publication of the works of Russell Kirk, our publications include The University Bookman (America’s oldest conservative review of books), Permanent Things (our newsletter), and Studies in Burke and His Time (a scholarly journal). Ian Crowe, M.A. (Oxon), M. Litt, Ph.D.
Bruce P. Frohnen, J.D., Ph.D.
Kevin P. Shields, Automatic Data Processing, Inc.